What do you do when there isn’t enough time or resources to conduct user research? 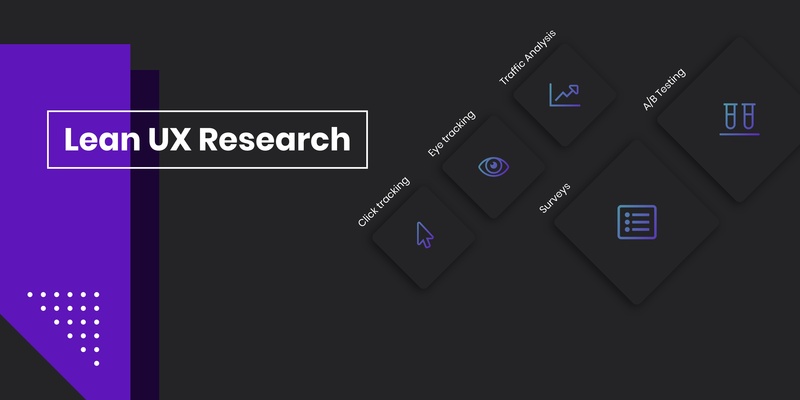 Although it can be seen as a luxury when you’re working with a startup or are approaching a project with a short timeline, user research is the foundation of great design. Sometimes there’s pushback from upper management as to if research is even necessary. The truth is, without it, we’re shooting blanks in the dark. Starting with a plan might seem like a waste of time. It can be tedious and feel as if you’re not contributing to the solution as a whole. This is a complete misconception. By outlining a proper plan, you can remain focused and on-task throughout the research process. It acts as a check-list and the source of truth if things start to get off track. Outline what questions you need answered. Be strategic with how you ask questions as different research methods will provide you with different depths of insights. If you’re able to identify the answers you need, it’s easier to cross off the types of research that won’t be valuable to you. Saving you time. Define why you want these answers. There should be a purpose as to why you want these answers. Sometimes as researchers, we ask users a bunch of questions surrounding the market or industry we’re designing for. This is market research and is unlikely to help you create informed design decisions. Each answer should have purpose. Identify the the research techniques you need to answer your questions. Once you have identified the questions you need answered, start to layout a research technique strategy. There are many different types of research methods to consider. You want to ask yourself how can you optimize your time spent? If you need information about how users move through your site currently, it might be efficient and informative to pull the average user flows through Google Analytics. Create a timeline for your project, when certain people will be needed and where/how they’ll be needed. Always include buffers in case certain elements take longer or shorter than expected. Be sure to identify what your budget is towards certain types of research (you have to pay participants), what services you’ll need to take advantage of and any software that will be of use to you. Be sure to outline all of this and get sign off from stakeholders before you begin. Conducting research with users will take time and coordination. Try to tap into the resources at your fingertips. Google Analytics allows you to track how users maneuver through your site and where areas of drop of or conversion happen. This is a great way to understand how users interact with your site and you can hone your focus on problem areas when you’re speaking with users one on one. It’s also great for pulling proto-personas. You can easily (and quickly) understand who is the typical user approaching your site — info such as age, location, occupation, and interests can help paint a clearer pictures about who your user is. Talk to your extended network for preliminary conversations. Try not to rely on friends and family for research as bias could be present. When you’re researching your problem space, it’s important that you speak with people rather than making assumptions. When in doubt, talk to humans. Guerilla research tactics are research alternatives or methods that don’t necessarily need to be sponsored, budgeted or signed-off on. Guerilla research can have informative results with a modest price tag. It’s important to remember that your end goal is to provide the best experience for your users. It doesn’t matter the quality of the way you get the answers, as long as they’re received in an honest and unbiased manner. Card sorting can be extremely effective when trying to understand how user’s mentally group information,. That said, it can also be time consuming and some software can be expensive. A great way to understand users’ psyche is to send out an Excel Spreadsheet with a list of terms. You can either ask the subject to categorize the column of terms into pre-decided topic columns, or you can have them create their own. Once they’ve completed the task, simply have them email it back to you. Pro tip: sometimes people just like to take surveys. Make sure that you ask some confirmation questions early on in the survey to make sure they’re the users you’re looking to get information from. One-on-one interviews are one of the most valuable research techniques for any company. They not only highlight how user’s move through your product, but will also provide insight into how they feel about it. Ensure that you’ve identified that your script includes your scenario, qualitative and quantitative questions ahead of time. It can be expensive to bring people in for a formalized test, so sometimes a guerilla approach is most effective for small businesses on a budget. Check out coffee shops and libraries for people who might be interested in speaking with you. Bring a stack of coffee gift cards ($5-$10) to compensate people for their time. A heuristic evaluation is an overall usability test method for software that helps to identify usability problems. It specifically involves the examination of an interface and by judging it’s compliance with the criteria created by Nielsen Norman Group. Heuristic evaluations are a sometimes overlooked form of research as they’re quite simplistic. These are great when doing preliminary benchmarking against competitors or when you’re looking to revamp your current project. This tried-and-true method doesn’t cost a cent to conduct (except your time) and can give great insight into usability enhancements you can make to your product and beat out your competitors. You don’t need to set up a formal environment to conduct usability testing (however, a place with minimal distractions and quiet is preferred.) At Boompah we test our iterations in small chunks. We add a new feature, we test it with users and get feedback immediately. You can test with friends, family, or people on the street. It costs you almost nothing and you’re able to ensure that you’re constantly designing with a human-centred approach. Here’s a great example of Usability on-the-fly by the University of North Carolina where they conducted on-the-fly usability test of their new system by having students find books. There was no announcement or recruitment, they simply asked students to test out the system as they walked into the library. After you’ve conducted your research, make sure you’ve documented all of your learnings in a readable format. Handing over a spreadsheet of unorganized data isn’t helpful for anyone. Make sure that you summarize your findings and highlight key validations, assumptions, and learnings. Once you’ve compiled everything, be sure to code them. No, not in HTML. Code all of your findings to make them easy to reference. For example, if you find out that users in Los Angeles feel your product uses too much jargon, code them with “Los Angeles” “jargon” “negative.” This will make it easy for you and your team to analyze your findings and add new ones as you learn more from your users. The secret to successfully conducting UX Research when you’re a startup, on a strict timeline or have a small budget is to not let your resources situation stop you. It’s easy to skip the research and dive directly into the design for sake of time, but if you do so you’ll be disregarding your users. Conducting thorough, meaningful research helps produce user-centred designs that your users will love to use. Research helps to weed out issues early on so that you’re not feeling the burn of bad user feedback after putting in the time and effort to build and launch your product. Thanks for reading — I’m currently a UX Designer and Researcher at Boompah. Feel free to get in touch or check out my website.